Immunogen: Recombinant human NGAL in monomer and dimer forms. Scientific Background: Neutrophil gelatinase-associated lipocalin (NGAL; also called lipocalin 2, siderocalin and neutrophil lipocalin) belongs to the lipocalin family of proteins which bind and transport small lipophilic molecules. NGAL is released by activated neutrophils, and occurs as 25-kDa glycosylated single protein chain monomers which form dimers and small amounts of higher oligomers, as well as complexes with matrix metalloproteinase 9 (MMP-9; gelatinase B). Low level expression of NGAL in a variety of epithelia may be increased in inflammation or cancers. The expression and release of NGAL from renal tubules is dramatically increased by ischemic or nephrotoxic injury. 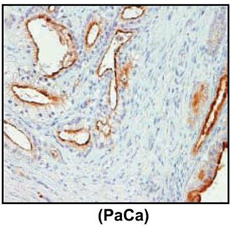 Figure 3: Immunohistochemical analysis of tissue microarrays from human PaCa (MDACC) using NGAL (human), mAb (5G5). 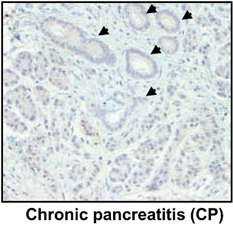 Figure 2: Immunohistochemical analysis of chronic pancreatitis tissue using NGAL (human), mAb (5G5). 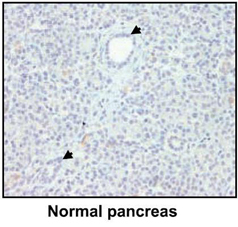 Figure 1: Immunohistochemical analysis of normal pancreas tissue using NGAL (human), mAb (5G5).